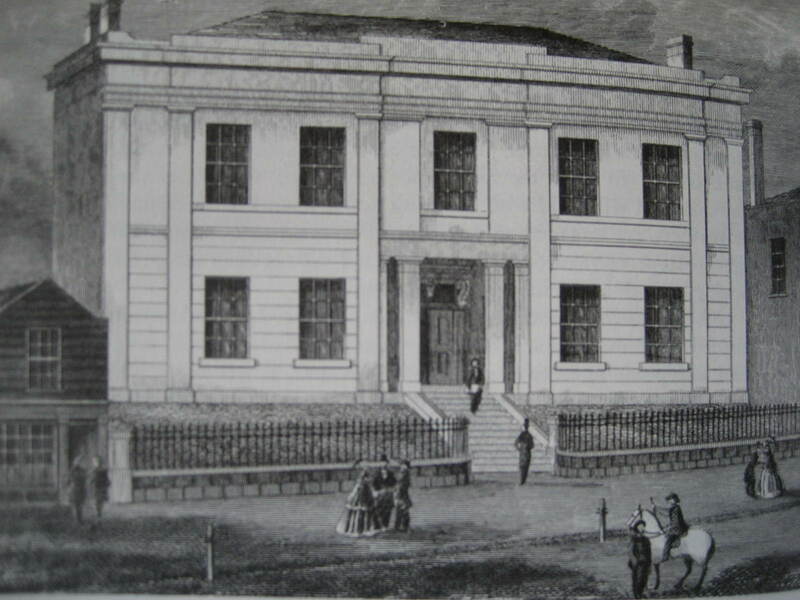 Construction of the original building in Collins Street, on the present site of the Melbourne Athenaeum, was completed in December 1842. Glass negative held by the Royal Historical Society of Victoria. 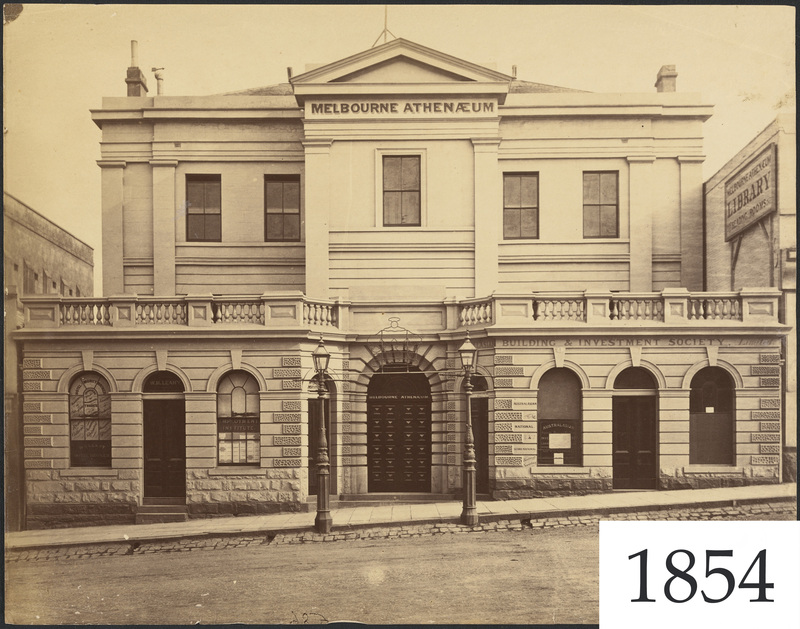 The Melbourne Mechanics' Institution was founded in 1839 with a purpose to impart literary, scientific and other useful knowledge to members and the general public. 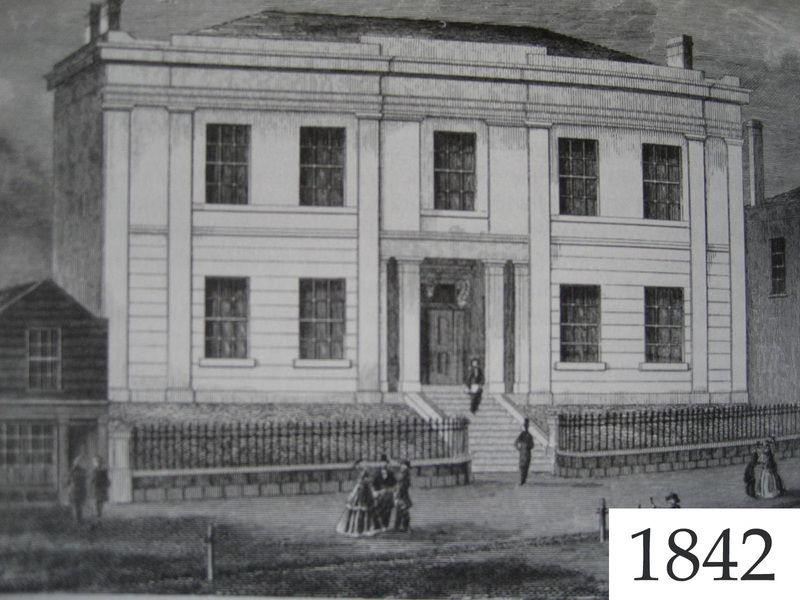 The establishment of a museum was identified as an important part of this and in 1840 the institution's annual general meeting noted that the committee would welcome donations from the colony's inhabitants. Its report says in part: "In a new Colony like this there are many things which their present abundance may render common, and therefore comparatively of little interest, but which to the antiquarian of future generations or even to the curious of different countries at the present time would be highly appreciated." A motion to procure rooms for a museum was carried unanimously, however the process of establishing the museum was difficult. Committee reports have numerous references to the lack of progress in forming collections. The committee remained resolute and in 1844 it assigned a curator to each museum department — ornithology, entomology, conchology, other branches of zoology with comparative anatomy, botany, geology and mineralogy, Aborigines, fine arts and numismatics, and works of art and illustrations of the trade and commerce of the colony. Charles Joseph La Trobe, by Sir Francis Grant, 1855. Held by the Pictures Collection of the State Library of Victoria, H30870. 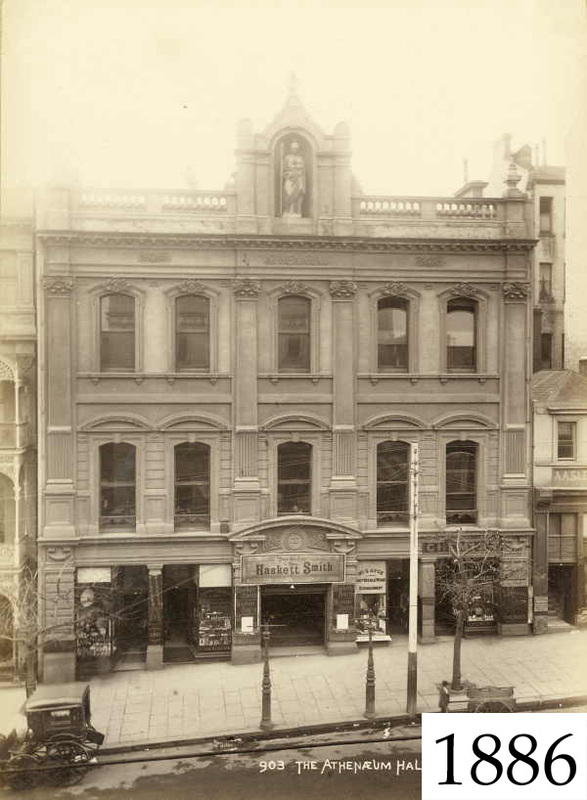 Charles Joseph La Trobe, Superintendent of Port Philip, accepted the role of patron of the new Mechanics' Institution in 1839, retaining the position until he left the colony in 1854. La Trobe supported the Institution by donating to the building fund, giving books to the new library and presenting geological specimens and fossils to the museum. A stamp with the name of the institution, these days we have returned to using the Æ symbol on our stamps.